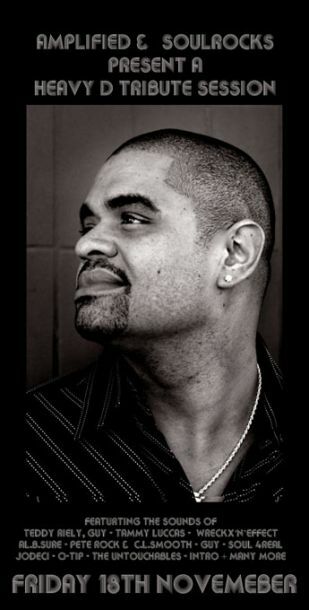 The DJ’s from Amplified present an evening dedicated to the sounds of the Late Dwight Arrington Myers aka Heavy D. Featuring both New Jack Swing and the Yo MTV Raps’ era Hip-Hop two genres which I’m sure you’ll agree benefited greatly from the Overweight lover’s talent and output. This entry was posted in Event and tagged Amplified, Heavy D, Living Bar, MTV, New Jack Swing. Bookmark the permalink. Follow any comments here with the RSS feed for this post. Post a comment or leave a trackback: Trackback URL. Thank you ever so for you blog post.Thanks Again. Fantastic….